With the release of Reign of the Supermen on digital comes the first look at the upcoming Justice League Vs Fatal Five animated movie, which returns to the Bruce Timm animation from the Justice League cartoons. The image features Miss Martian at the front with Batman, Mr. Terrific, Superman, Green Lantern Jessica Cruz and Wonder Woman behind her. 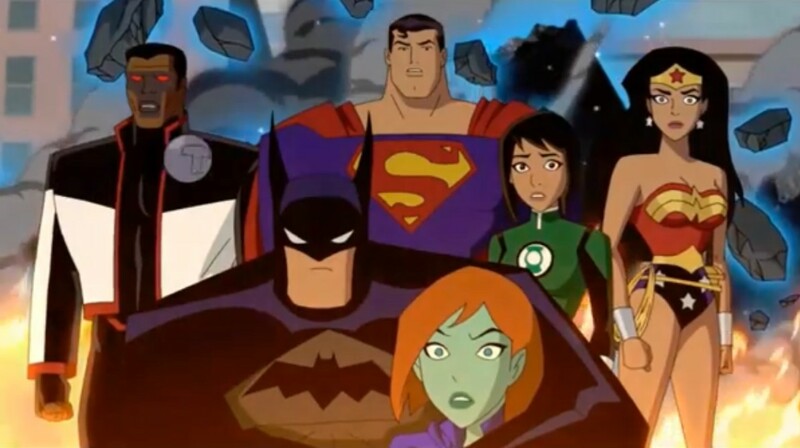 The style of animation was made popular by Bruce Timm in the Justice League and Justice League Unlimted animated series that aired on Cartoon Network from 2001-2006. The Reign of the Supermen digital release features a first-look featurette at the Justice League Vs Fatal Five animated movie.